The first market will be held on Thursday 12 July at the Heritage Centre, Parkmill SA3 2EH. This is the first of a new initiative to create a social occasion based on Gower’s local food and drink producers, and has been devised by Cae Tan Community Supported Agriculture, the Swansea Food Assembly, Little Valley Bakery, Square Peg café, and Gower Power Co-op. Local food producers will be present offering high-quality, Gower-produced ingredients. There will be pop-up food, including pizzas and burgers made from Gower Meadow beef, live music and a bar. Children will have the opportunity to create their own pizzas. It is intended that this affordable and family-friendly initiative will evolve to become a regular monthly gathering. Admission Free. Join a team of professional artists to create a display of temporary sculptures that inspire, inform and educate on Swansea and Gower’s beautiful beaches. Learn new art skills and techniques. Take buckets and spades and sunscreen. 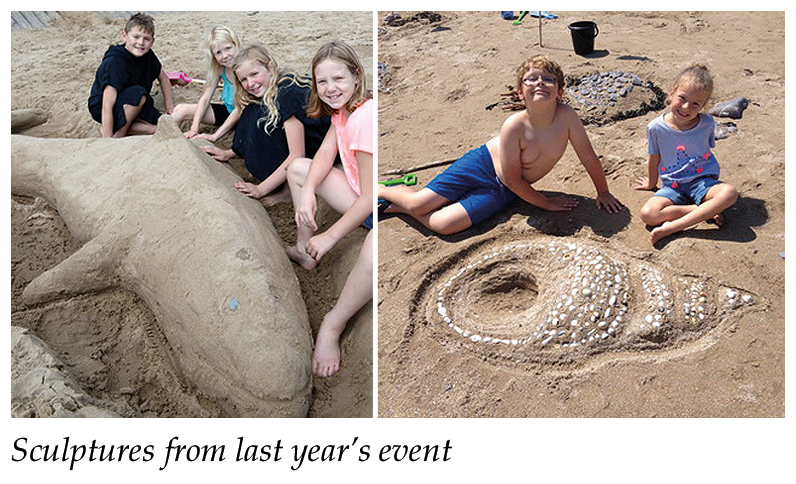 To celebrate the 2018 Visit Wales Year of the Sea theme, this year’s festival event will have an exciting new dimension to project – Sculpture on the Coast, a special way-marking sculpture trail along the coastal path between Mumbles and Rhossili which will link in with all the beach workshops. Five site specific way-marking sculptures will be created especially for the trail and there will be a special quiz to find out more about Gower through the art pieces. 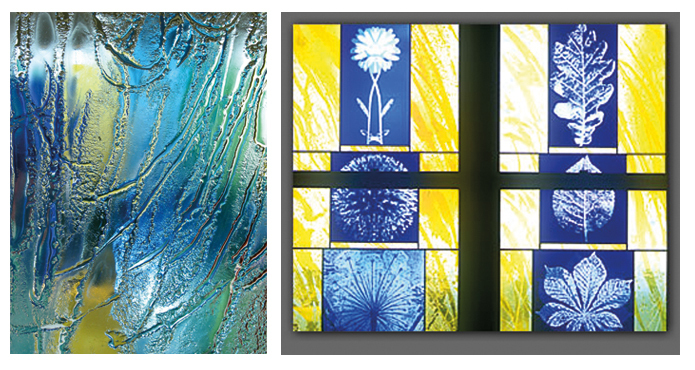 Catrin Jones is an award-winning artist specialising in decorative glass for architecture. Although Catrin works throughout the UK, her work in Swansea includes a pair of windows in St. Mary’s Church celebrating the Royal Wedding in 1982, the Stephanie MacLeod memorial window in Taliesin Arts Centre, the entrance window in Llwynderw School, and a memorial window in St. Joseph’s Cathedral. Menna Jones is a silversmith. 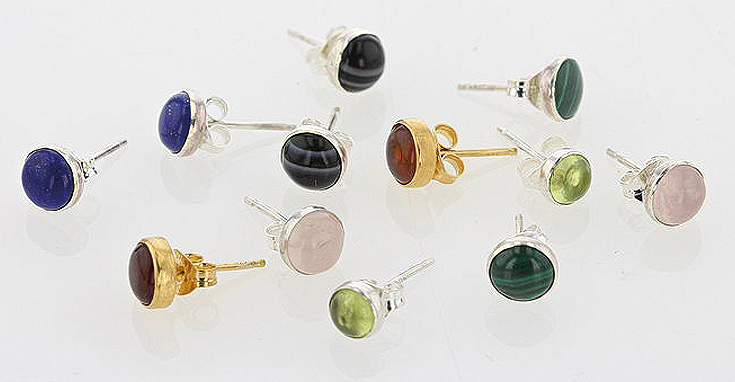 Menna completed the Foundation course in Art & Design at Swansea School of Art before obtaining a HND in Jewellery and Silversmithing at the School of Jewellery in Birmingham. Menna specialises in computer-aided design and she recently won a competition to design the medals for the IAAF indoor games in Birmingham. Caroline Rees combines her contemporary and stylised design with the traditional technique of paper cutting. She loves simple, bold and graphic imagery and is inspired by primitive art, Scandinavian textiles, her Welsh heritage and the beautiful Gower land-scape where she lives. Her very messy studio is tucked away in Swansea so, for this event, she will be opening up her colourful 1960s house and garden, and showing the work of other artists alongside her own. There are too many events and workshops avail-able to take part in for us to list here, so visit the website and get involved. Church and chapel congregations are nowhere near as big today as they were back in the last century. Then such organisations formed the very pillars of our society. Tabernacle Chapel,Morriston was one such establishment that stood out, not least for the height of its steeple which could be seen from miles around. 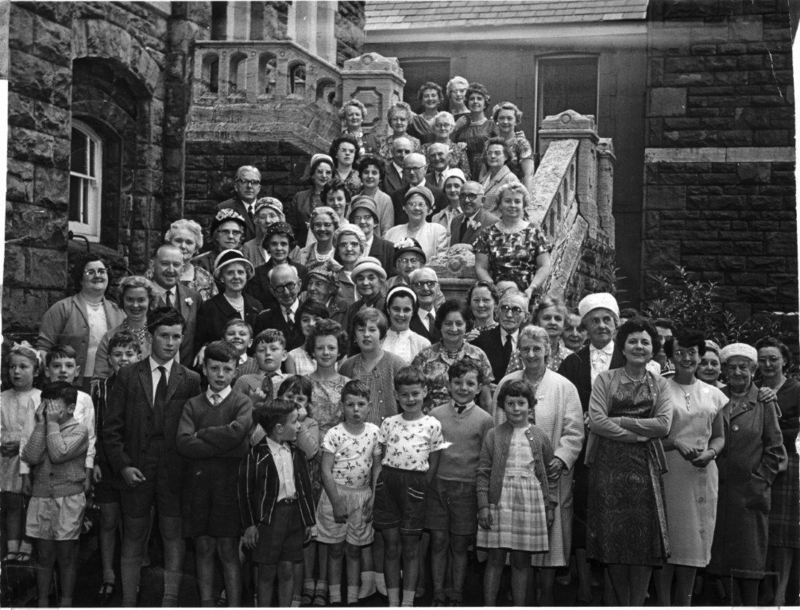 But it also had a thriving congregation as can be seen from this picture from the past taken in 1960s. The building still exists today and is also known as Libanus Chapel, but sadly those attending number nowhere near as many as during its halcyon days. The image is one of more than 300 offered up by Swansea Echoes of the past the most recent and 20th consecutive book by David Roberts. On sale now, the book captures some fantastic glimpses of Swansea in the past as will the next volume for which For details on how to obtain a copy visit www.bryngoldbooks.com or phone 01639 643961. The Swansea Bach Choir will be in concert at All Saints Church in Oystermouth on Sunday 8 July at 15.00. The music will include masterpieces by Parry, Finzi and John Ireland with new music by Gareth Treseder of Swansea. Conducted by Greg Hallam. No. 1 – Choral and Organ Music evoking the tragedy of the Great War. To be followed by a short presentation on the Mumbles Lifeboat memorial window by its designer Tim Lewis. St Peter’s Church fete is a must for all the family. There will be lots of games, treats and goodies available at this popular Church event on Saturday 28 July from 10.00 to 12.00. A warm welcome is extended to everyone. Lisanne spends her days looking after pets for her many clients. Dog walking is her speciality and she makes every walk into an adventure for her charges. Lisanne sent in this picture of one of her dogs Penny who she wanted to nominate as her dog of the year as she is fun to be around if a little bit greedy. If you require someone to take your dog for a walk every day or need a pet sitter – for any small animal you can contact Lisanne on 07826 327460. Swansea’s popular ladies choir, The Singleton Singers, is holding its 10th Annual Concert on Saturday 14 July at St James’ Church, Uplands. Doors open at 6.30pm for a 7pm start and tickets can be purchased at the door at £10 each. Guest artists this year are Ryan Alexander, a Canadian musical theatre performer currently studying at the Welsh College of Music and Drama and local young violinist Will Mullins, a pupil at Pontarddulais Comprehensive School. 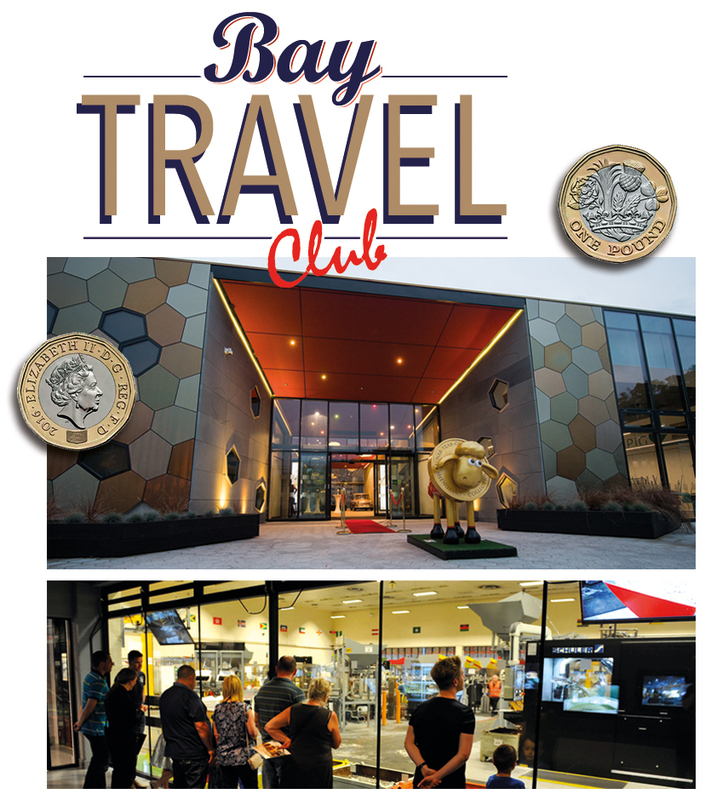 The inaugural Bay Travel Club trip took place on Wednesday 20 June and was a roaring success. A group of 22 enjoyed a tour of the Royal Mint and got to strike their own £2 coin! The guided tour was really informative – did you know that over 90 million coins are struck in the Mint at Llantrisant every week? It’s not only British coinage that is made here – they produce coins for countries as far afield as Costa Rica and Nigeria. We watched as one baht coins were minted for Thailand. An excellent lunch was served at the Llanerch Vineyard and was preceded by a wine tasting session. Everyone enjoyed themselves immensely with some even booking our next trip to Abergavenny – details of this can be found in our Food and Drink section.